The Nissan Frontier is one of just two new mid-size pickups available for 2013. Against the Toyota Tacoma the Frontier more than holds its own with a more powerful V6 engine, impressive tow rating, and features that make it both a capable daily driver and eager weekend adventurer. Do not use the usb port. It does not charge android phones. Our Nissan frontier is economical on gas. It has many features that I like such as: rear back up camera, cargo ties, bed liner and cargo ties. Whenever I have taken it to Nissan dealership for service they have been very helpful and have always taken care of any slight problems. The one thing I do not like is that the tire pressure light is always coming on when there is not a tire problem. I think there is a glitch. Other that that I have no complaints. I have been very satisfied with my truck and the service I have received. be careful about the dealership you purchase from because some of the benefits do not apply unless you go back to that specific dealership. Ultimately, even if the price at a closer dealership is greater initially, it may save you so much hassle and maintenance fees later. In my case, I purchased my Nissan from a dealership that is a 50 minute drive, one way, from my home, and I cannot take advantage of certain benefits because I can't just go to any Nissan dealership, I have to return to the specific dealership where I originally purchased, like I had a warranty on my tires and windshield, but it's not financially advantageous to have to get a three-wheeled truck out 50 minutes drive time to take advantage of my warranty, so, it's really useless. 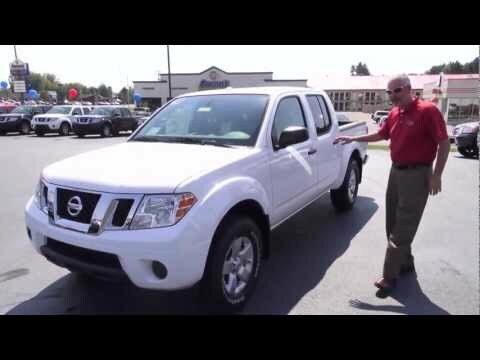 2013 Nissan frontier cc short bed is a cost friendly highly reliable 4x4. I find my frontier is highly reliable. I am able to maintain most general maintenance and add performance mods myself. The make and model of my Nissan frontier has not changed since 2005 and allows me to have many available aftermarket replacement parts and omen parts. That means I can maintain and keep my Nissan frontier for many years. I find it a high-value.